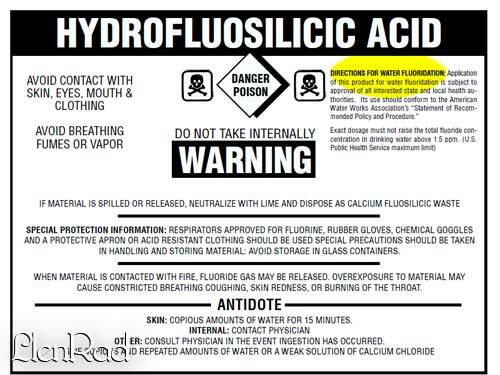 Home › Blog › Harvard: Fluoride makes you dumb. Ever wonder why people seem so freaking STUPID in America? I’m not trying to offend anyone or group in particular or create some “Who’s the dumbest” contest. I’m just saying. Have you ever noticed how little SO MANY people know in this country? I don’t think the majority of people in America are dumb but it seems like a very large percentage fail to possess basic common knowledge. People have debated why this is happening for years. Thanks to a new study by Harvard we now know the cause, FLUORIDE. DUMB, It’s in the water. Want to know what is making your family stupid? Oh, its in the kitchen faucet. Municipal cities for years have been adding this chemical to the water supply under the cover that it helps people’s teeth. I could never understand if something is good for your teeth why do you ingest it? The best thing that you need for your teeth is supposed to be toothpaste and you don’t drink that do you? What about mouthwash ever drank that stuff? Nope, why would you put it in the water then? Pinellas county in Florida made news when they voted to remove Fluoride from their water. This was only a few months before the Harvard results were published. 1. It is hazardous. Why would you drink anything that has to be shipped on a HAZMAT truck. Did you know that you need a special truck license endorsement to drive a hazardous materials truck? Why? Because its freaking dangerous. 2. It makes people dumb. The Harvard study is proof enougth isn’t it? 3. The cities can’t afford it. City after city is going bankrupt and is under pressure to save money. Fluoridation should be cut instantly to save money for the local communities. Sadly, this simple common sense based initiative will face resistance as so many people have been literally “drinking the Kool-aid with fluoride” so they have been affected as the Harvard’s study indicates. Can the effects of fluoride be reversed? What do you think?